Do you experience muscle cramps, excessive muscle soreness, long recovery times, muscle pulls and strains? There are several potential causes of these problems, and many of them can be addressed through your nutrition. Remaining properly hydrated is at the top of the list as dehydration will significantly increase your risk of muscle pulls and strains. 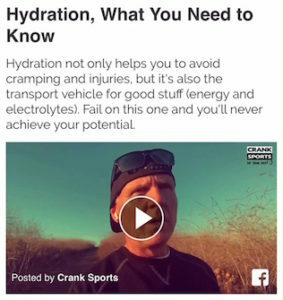 Electrolytes play a critical role in remaining hydrated as well as potentially reducing cramps. Amino Acids help reduce lactic acid build up and aid in recovery. And Antioxidant Vitamins C and E help protect against tissue damage, reduce soreness and aid in recovery.